Taste test: These are thinly sliced potato chips with the "skin" of the potato chip surrounding the border of the chip. 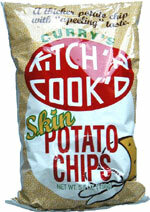 You don't actually taste the "skin," but they do have a heartier taste than the other Curry's chips we've tried. 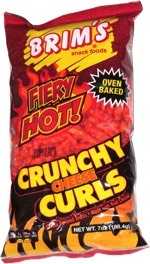 It's either because the skin is on, or that there's less salt on the chip. It reminded me of Wise potato chips or State Line chips.